Department of Pharmaceutics, Jyothishmathi Institute of Pharmaceutical science, Thimmapur, Karimnagar- 505481, AP. India. Copyright: © 2014 Dr. N. G. Raghavendra Rao et al, publisher and licensee IYPF. 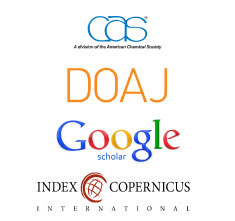 This is an Open Access article which permits unrestricted noncommercial use, provided the original work is properly cited. Montelukast Sodium is a leukotriene receptor antagonist (LTRA) used for the treatment of asthma and to relieve symptoms of seasonal allergies. In the present work, fast dissolving tablets of Montelukast Sodium were prepared using novel coprocessed superdisintegrants consisting of crospovidone along with croscarmellose sodium, and crospovidone along with sodium starch glycolate in the different ratios (1:1, 1:2 and 1:3). Effect of co-processed superdisintegrants on wetting time, disintegrating time, drug content, and in-vitro release have been studied. The prepared tablets were characterized by DSC and FTIR Studies. No chemical interaction between drug and excipients was confirmed by DSC and FTIR studies. Stability studies were carried out as per ICH guidelines for three months. The values of pre-compression parameters evaluated were within prescribed limits and indicated good free flowing property. The prepared tablets formulations were evaluated for post-compressional parameters. All the postcompressional parameter are evaluated were prescribed limits and results were within IP acceptable limits. The in-vitro disintegration time of fast dissolving tablets were found to be 12.06 to 39.14 sec. which is in the range of fulfilling the official requirements. By the addition of superdisintegrants the disintegration time increased significantly (P<0.05). The tablets shows the t50% and t90%between 0.94 min to 1.82 min and 3.61 min to 5.83 min respectively. Among all formulations CP3 showed 99.79% drug release within 4 min. Montelukast sodium tablets containing co-processed superdisintegrants exhibit quick disintegration and improved drug dissolution. It can be concluded from the present work that co-processed superdisintegrants of crosscarmellose sodium+ crospovidone are superior to crospovidone + sodium starch glycolate co-processed superdisintegrants used in Montelukast Sodium fast dissolving tablets. Fast dissolving tablets, Montelukast sodium, sodium starch glycolate, Crosscarmellose sodium, Crospovidone, co-processed. Oral delivery is currently the gold standard in the pharmaceutical industry where it is regarded as the safest, most convenient and an economical method of drug delivery having the highest patient compliance . Tablet is most popular among all dosage forms existing today because of convenience of self administration, compactness and easy manufacturing . Many patients express difficulty in swallowing tablets and hard gelatin capsules, resulting in noncompliance and ineffective therapy . To overcome this weakness, scientists have developed innovative drug delivery systems known as fast dissolving tablets . United States Food and drug administration (FDA) defined fast dissolving tablet (FDT) as “a solid dosage form containing medicinal substance or active ingredient which disintegrate rapidly usually within a matter of seconds when placed up on the tongue”. Their characteristic advantages such as administration without water, patient compliance, rapid onset of action, increased bioavailability and good stability make these tablets popular as a dosage form of choice in the current market . Montelukast sodium is chemically designated as [R-(E)]-1-[[[1-[3-[2-(7-chloro-2-quinolinyl) ethenyl] phenyl]-3-[2-(1-hydroxy-1-methylethyl) phenyl] propyl] thio] methyl] cyclopropane acetic acid, monosodium salt, an orally administered drug of choice in the treatment of asthma in adults and children. Other problems like hand tremors, dysphagia in case of geriatric and non cooperative patients. To overcome these drawbacks mouth dissolving tablets or orally disintegrating tablets or fast dissolving tablets has emerged as an alternative oral dosage form . Major challenge for tablets manufacturing comes from the flow properties of the materials to be compressed. Most of the formulations (> 70%) contain excipients at higher concentration than active drug. In recent years drug formulation scientists have recognized that single-component excipients do not always provide the requisite performance to allow certain active pharmaceutical ingredients to be formulated or manufactured adequately. Hence, there is a need to have excipients with multiple characteristics built into them such as better flow, low/no moisture sensitivity, superior compressibility and rapid disintegration ability . Excipients with improved functionality can be obtained by developing new chemical excipients, new grade of existing materials and new combination of existing materials . Many patients express difficult to swallow tablets and hard gelatin capsules and thus does not comply with prescription, which results in high incidence of non-compliance and ineffective therapy. Recent advances in novel drug delivery systems aim to enhance safety and efficacy of the drug molecules by formulating convenient dosage form for administration and to achieve better patient’s compliance. One such approach is fast dissolving tablets) FDT)[12-15]. New combinations of existing excipients are an interesting option for improving excipients functionality because all formulations contain multiple excipients. One such approach for improving the functionality of excipients is coprocessing of two or more excipients. Coprocessing is based on the novel concept of two or more excipients interacting at the sub particle level, the objective of which is to provide a synergy of functionality improvement as well as masking the undesirable properties of individual. Co-processing excipients lead to the formulation of excipients granules with superior properties, compared with physical mixtures of components or individual components, like improved flow properties, improved compressibility, better dilution potential, fill weight uniformity, and reduced lubricant sensitivity. Several co-processed superdisintegrants are commercially available: Ludipress (lactose monohydrate, polyvinyl pyrrolidone and crospovidone), Starlac (lactose and maize starch), Starcap 1500 (corn starch and pregelatinized starch), Ran Explo-C (microcrystalline cellulose (MCC), silica and crospovidone [CP]), Ran Explo-S (MCC, silica and sodium starch glycolate [SSG]), PanExcea MH300G (MCC, and CP). The widely used superdisintegrants are CP, croscarmellose sodium (CCS) and SSG. In the present investigation, the preparation and evaluation of fast dissolving tablets by using coprocessed superdisintegrants containing CP, CCS and SSG was studied. The reasons for selection of CP are high capillary activity, pronounced hydration capacity and little tendency to form gels. CP superdisintegrant is effective in wet granulation, dry granulation and direct compression in tablet processing. CCS swells 4- 8 folds in 10 sec. The cellulose derivative swells in two dimensions readily. In tablet formulations, it may be used in both direct compression and wet granulation processes. SSG was chosen because of its high swelling capacity. Carbamazepine tablets containing coprocessed superdisintegrants exhibit quick disintegration and improved drug dissolution. It can be concluded from the present work that coprocessed superdisintegrants of CP+CCS are superior to CP+SSG. In the present work, fast dissolving tablets of Montelukast sodium (MS) were prepared using novel co-processed superdisintegrants consisting of CP along with CCS, and CP along with SSG in the different ratios (1:1, 1:2 and 1:3). Effect of coprocessed superdisintegrants on wetting time, disintegrating time, drug content, and in-vitro release have been studied. Montelukast sodium was procured as a gift sample from Redefining Healthcare, Unimark Remedies Limited, Vapi, Gujarat, India. Superdisintegrants like crospovidone, sodium starch glycolate, croscarmellose. Other excipients like Mannitol, Microcrystalline cellulose, flavor, Sodium lauryl sulphate (SLS), Talc, and Magnesium stearate purchased from S.D. Fine chem., Mumbai. All other materials were of analytical reagent grade. Preparation of Co-processed Superdisintegrants [23, 24]: The co-processed superdisintegrants were prepared by solvent evaporation method. A blend of CCS+CP and CP+CCS (in the ratio of 1:1, 1:2 and 1:3) was added to 10 ml of ethanol. The contents of the beaker (250 ml capacity) were mixed thoroughly and stirring was continued till most of ethanol evaporated. The wet coherent mass was granulated through # 44 mesh sieve. The wet granules were dried in a hot air oven at 60º C for 20 mins. The dried granules were sifted through # 44 mesh sieve and stored in airtight container till further use. Preparation of fast dissolving tablets by direct compression method [25, 26]: Fast dissolving tablets of Montelukast sodium were prepared by direct compression. All the ingredients (except granular directly compressible excipients) were passed through # 60 mesh separately. Then the ingredients were weighed and mixed in geometrical order and compressed into tablets of 200mg by direct compression method using 7 mm bi concave punches on a ‘Rimek mini press 1’ a 10 station rotary compression machine. The composition of the tablets were given in Table 1. IR Studies: IR spectra for pure drug Montelukast sodium and formulations CP2 and CP3 powdered tablets were recorded in Infrared spectrophotometer with KBr pellets. Pre-compression Parameters: The tablet blends were evaluated for their bulk density, tapped density, Carr’s index and flow properties. Weight variation: The weight variation test was conducted by weighing 20 randomly selected tablets individually, calculating the average weight and comparing the individual tablet weights to the average. The specification of weight variation is 10%. Estimation of drug content : Five tablets weighted and crushed in a mortar then weighed powder contain equivalent to 10 mg of drug transferred in 100ml of 0.5% of SLS [sodium lauryl sulfate ] solution to give a concentration of 100μg/ml. Take 15ml of this solution and diluted it upto 100ml with 0.5% of SLS solution to give a concentration of 15μg/ml. Absorbance measured at 342nm using UV-Visible Spectrophotometer. Disintegration time : Tablet disintegration is an important step in drug absorption. The test for disintegration was carried out in Electrolab USP disintegration test apparatus. It consists of 6 glass tubes which are 3 inches long, open at the top, and held against a 10 mesh screen, at the bottom end of the basket rack assembly. To test the disintegration time of tablets, one tablet was placed in each tube and the basket rack was positioned in a 1 liter beaker containing 0.5% of SLS in water at 37°C ± 1°C such that the tablet remains 2.5 cm below the surface of the liquid. The time taken for the complete disintegration of the tablets was noted. Wetting time: 10 ml of distilled water containing Eosin, a water soluble dye was placed in a petri dish of 10 cm diameter. Tablets were carefully placed in the centre of the petri dish and the time required for water to reach the upper surface of the tablet was noted as the wetting time. The test results are presented as mean value of three determinations. Water absorption ratio : A piece of tissue paper folded twice was placed in a small Petri dish containing 6 ml of water. A tablet was put on the paper and the time required for complete wetting was measured. The wetted tablet was then weighed. Water absorption ratio indicated by R, which is calculated by using the below mentioned equation. In-vitro release [30-32]: The in-vitro dissolution studies of FDT were performed at 37 ± 0.5°C using 0.5% w/v aqueous solution SLS in USP II paddle method at 50 rpm. 5 mL of filtered aliquot was manually withdrawn at pre-determined time intervals and replaced with 5 mL of fresh 0.5% SLS solution maintained at the same temperature. The samples were analyzed at 342nm using a UV spectrophotometer. The stability study  of the tablets was carried out according to International conference onHarmonization guidelines for zone III and IV. The formulations were stored at 25°C/ 60% and 40°C / 75 % RH for three months by storing the samples in stability chamber (Thermo Lab, Mumbai). Co-processed superdisintegrants were prepared by solvent evaporation using CP with CCS, and CP with SSG in different ratios (1:1, 1:2, and 1:3). In the present study the IR spectra for pure drug MS and its formulations like CP2 and CP3 with various polymers and other excipients is taken to establish the physical characterization of drug and its formulations (Fig 1). The drug-excipients study was done by Fourier transform infrared (FTIR) spectroscopy study, the prominent peaks of MS pure drug were shown at absorption peaks for the drug montelukast sodium has got tertiary -OH groups exhibited a broad peak around 3300 cm-1 and a -COOH peak which is in the form of a salt has exhibited a strong peak near 1700 cm-1. The aromatic C-H peaks are also observed between 2900-3000 cm-1. In formulations like CP2 and CP3 exhibited characteristic absorption peaks in the same range of pure drug peak. Hence, it could be confirmed that there is no chemical interaction between drug and excipients in the formulation. The values of pre-compression parameters evaluated were within prescribed limits and indicated good free flowing property (Table 2). All the post-compression parameters are evaluated were prescribed limits and results were within IP acceptable limits. Results of postcompression parameters were shown in (Table 3). In all the formulations, hardness test indicated good mechanical strength ranges from 3.00 kg/cm2 to 3.42 kg/cm2. The friability range is 0.41 to 0.74 % to be well within the approved range (<1%) indicated that tablet had good mechanical resistance. The weight variation was found in all designed formulations in the range 197.00 to 200.14 mg. All the tablets passed weight variation test as the average percentage weight variation was within 7.5% i.e. in the pharmacopoeia limits. The standard deviation values indicated that all the formulations were within the range. The drug content uniformity was in between 98.56 to 100.10 %, water absorption ration were found between 45 to 62 % and wetting time between 54 to 98 sec. Rapid disintegration within several minutes was observed in all the formulations. The in-vitro disintegration time of fast dissolving tablets were found to be 12.06 to 39.14 sec. which is in the range of fulfilling the official requirements. By the addition of superdisintegrants the disintegration time increased significantly (P<0.05) tablets prepared. All the results were given in Table 3 and Fig2. Among all the formulations CP3 containing 3% w/w of co-processed superdisintegrant (1:3 mixture of CCS + CP) was found to be promising and has shown an in-vitro dispersion time of 12.06 sec, wetting time of 98 sec when compared to the other formulations CP2 containing coprocessed superdisintegrant (1:2 mixture of CCS+CP) was found in-vitro dispersion time of 18.08 sec, and wetting time of 54 sec. The formulations CP4, CP5 and CP6 containing coprocessed superdisintegrants 1:1, 1:2 and 1:3 ratios of CP+SSG, which shows in-vitro dispersion time of 31.12, 39.14 and 30.16 sec, wetting time of 76, 87 and 84 sec respectively (Table 3 and Fig 2). Dissolution rate was studied by using USP type-II apparatus (USP XXIII Dissolution Test Apparatus at 50 rpm) using 900ml of 0.5 % of SLS solution as dissolution medium. Temperature of the dissolution medium was maintained at 37±0.5°C, aliquot of dissolution medium was withdrawn at every 1 min. interval and filtered. The absorbance of filtered solution was measured by UV spectrophotometric method at 342nm and concentration of the drug was determined from standard calibration curve. The dissolution of Montelukast sodium from the tablets is shown in (Fig 3-4) and (Table 4) shows the t50% andt90% of the release profiles. These values changed with change of formulations. The preparation of tablets by co-processed superdintegrants method shows the t50% and t90%between 0.94 min to 1.82 min and 3.61 min to 5.83 min respectively. Among all formulations CP3 showed 99.79% drug release within 4 min. Montelukast sodium tablets containing coprocessed superdisintegrants exhibit quick disintegration and improved drug dissolution. It can be concluded from the present work that co-processed superdisintegrants of CP+CCS are superior to CP+SSG co-processed superdisintegrants used in Carbamazepine fast dissolving tablets. The promising formulations were subjected to short term stability study by storing the formulations at 25°C/65% and 40oC/75% RH up to three month. The optimized formulations CP2 and CP3 were selected. After three month the tablets were again analyzed for the hardness, friability, drug content uniformity and disintegration time. The increase in the disintegration time was observed in case of tablets prepared with direct compression method No change was observed in the hardness, friability and disintegration time of tablets prepared by co-processed technique. No significant change was observed in the of all formulation. The results were shown in Table 5. Montelukast Sodium is a leukotriene receptor antagonist (LTRA) used for the treatment of asthma and to relieve symptoms of seasonal allergies. In the present work, fast dissolving tablets of Montelukast sodium (MS) were prepared using novel co-processed superdisintegrants consisting of CP along with CCS, and CP along with SSG in the different ratios (1:1, 1:2 and 1:3). Montelukast sodium tablets containing co-processed superdisintegrants exhibit quick disintegration and improved drug dissolution. It can be concluded from the present work that co-processed superdisintegrants of CP and CCS are superior to physical mixtures of CP and CCS used in Montelukast sodium fast dissolving tablets. The authors are thankful Redefining Healthcare, Unimark Remedies Limited, Vapi, Gujarat, India for providing Montelukast Soduim as a Gift sample. The authors are also thankful to Sri. Juvadi Sagar Rao Garu, Chairman and Sri. K. Venkat Rao Garu, Director, Jyothishmathi Institute of Pharmaceutical Science, Karimnagar, provide the facilities to carrying out this research work. 1) RajkumarGoyal,Satyendra Singh Baghel, AshishPathak, Kshamashil Sharma, GouravTiwari and RiturajShivhare. A Review on Formulation &Evaluation of Orodispersible Tablets (Fast Dissolving Tablet). W J Pharma Res. 2012; 1(3): 576-90. 2) Kanaka Durga Devi N, Prameela Rani A, SaiMrudula B. Formulation and evaluation of oral disintegrating tablets of Montelukast sodium: effect of functionality of superdisintegrants. J Pharma Res. 2010; 3(4): 803-08. 3) Dinesh mohan S, Vanitha K, Ramesh A, SrikanthG and Akila S. Formulation and Evaluation of Salbutamol Sulphate Fast Dissolving Tablet. Int J Res Pharma Bio Sci. 2010; 1(2): 105-108. 4) Jeevanadham S, Dhachinamoorthy D, Chandra Shekar KB, Muthukumaran M, Sriram N, JoyasarubyJ.Formulation and evaluation of naproxen sodium orodispersible tablets-A sublimation technique. Asian J Pharma. 2010; 4 (1): 48-51. 5) PraveenKhirwadkar, KamleshDashora. A Review: Fast Dissolving Drug Delivery System: Current Developments In Novel System Design and Technology. Int J Bio A Res. 2012; 03(02): 82- 98. 6) Gohel M, Patel M, Amin A, Agrawal R, Dave R, Bariya N. Formulation Design and Optimization of Mouth Dissolve Tablets of Nimusulide Using Vacuum Drying Technique. AAPS Pharm SciTech. 2004; 5(3): 36. 7) Kanakadurga N, PrameelaRani A and MrudulaBS. J of Pharma Res 2010, 3(4):803-808. 8) Alfred Martin. Physical Pharmacy.4th edn.Philadelphia: Lippin-cott Williams and Wilkins; 1993. 9) York P. Crystal engineering and particle design for the powder compaction process. Drug DevInd Pharm, 18(6, 7): 677-721 (1992). 10) Lawrence H Block, Richard C, Moreton, ShireeshP, Apte, Ri-chard H, Wendt, Eric J, Munson, Joseph R, Creekmore, Indira V, Persaud, Catherine Sheehan, and Hong Wang. Coprocessedexcipients.Pharmacopoeial forum, 35(4): 1026-1028, (2009). 11) Avachat A,Ahire VJ. Characterization and evaluation of spray dried co-processed excipients and their application in solid do-sag forms. Indian J Pharm Sci, 69(1):85-90 (2007). 12) Seager H. Drug delivery products and the Zydisfast dissolving dosage forms. J Pharm Pharmacol1998;50:375-82. 13) Chang RK, Guo X, Burnside BA, Cough RA. Fast dissolving tab-lets. Pharm Tech 2000;24:52-8. 14) Dobetti L. Fast-melting tablets: Developments and Technologies. Pharma Tech 2001;Suppl:44- 50. 15) KuchekarBS, Arumugam V. Fast dissolving tablets. Indian J Pharm Educ Res 2001;35:150-2. 16) Moreton RC. Tablet excipients to the year 2001: A look into the crystal ball. Drug DevInd Pharm, 22: 11-23 (1996). 17) Reimerdes D.The near future of tablet excipients.Manufchem, 64:14-5 (1993). 19) Gohel MC, Jogani PD. A review of co-processed directly compressible excipients. J Pharm Sci, 8: 76-93 (2005). 20) Rowe RC, Shestey PJ, Weller PJ. Hand book of pharmaceutical excipients, 4th ed. London, Chicago: Pharmaceutical Press, American Pharmaceutical Association; 2003. 21) RW Miller. Sodium starch glycolate. In: RC Rowe, PJ Sheskey, PJ Weller (eds.) Handbook of pharmaceutical excipients, 4th ed. Washington, DC: American Pharmaceutical Association, London, Pharmaceutical Press, 2003,pp.581-4. 22) RaghavendraRao NG, UpendraKulkarni, Basawaraj S Patil. Comparision of Novel coprocessed superdisintegrants for Designing of Fast dissolving tablets of Carbamazepine. Int J Pharm Sci Bio 2011; 2(1):316-323. 23) RaghavendraRao NG, UpendraKulkarni. 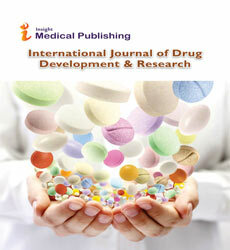 Formulation and Design of Fast Dissolving Tablets of Felodipine using Novel CO-Processed superdisintegrants.Int J Pharma Res and Dev, Nov - 2010 / Vol - 2/Issue - 9: Page No. 113 – 121. 25) RaghavendraRao NG, SumanjiBala, Harsh A Panchal, Keyur V Patel. Design of Fast Dissolving Tablets of Metoprolol Tartrate Using Novel Co-Processed Superdisintegrants.Int J of PharmaSci Rev and Res. Vol 8, Issue 2, May - June 2011; Article-025; 147-153. 26) RaghavendraRao NG, Ravi Kumar K. Design of Fast Dissolving Tablets of Chlorthalidone using Novel Co-processed Superdisintegrants. J. Chem. Pharm. Res., 2010, 2(4):671-679. 27) RaghavendraRao NG, Mohd Abdul Hadi, Harsh A Panchal. A Novel Approach to sustained Montelukast Sodium Release: Differentially Coated Mini-Tablets in HPMC Capsules. [PharmaSci Direct] Int J of Pharma and Biomedi Res.2011, 2(2), 90-97. 28) RaghavendraRao NG, Suryakar VB, KetanThube. Development of Mucoadhesive Films for Buccal Administration of Montelukast.Int J of Pharma and Tech, Mar 2010/Vol 2/Issue No 1/1-15.15. 29) Kanaka Durga Devi N, Prameela Rani A, SaiMrudula B. Formulation and evaluation of oral disintegrating tablets of Montelukast sodium: effect of functionality of superdisintegrants. J of Pharma Res. 2010; 3(4): 803-08. 30) Janugade BU, Patil SS, Patil SV, Lade PD. Int J Chem Tech Res. 2009, 1, 690-691. 31) Makoto Ishida, Kenichi, Abe, MunoruHashezime,Masco Kawamura, Int J Pharm 2008, 359, 46-52. 32) Chaudhari SP, Chaudhari PD, Mistry CJ, PatilMJ,Barhate NS. Pharm Tech 2007, 31, 132-144. 33) Stephen BR, Rajveer CH, Prashant KC, GaneshSB, Gajanan VS. Studies of dissolution behavior of sustained release solid dispersions of nimodipine. Int. J Pharm. Review and Res. 2010; 3(1): 77-82.